OCC, DOL Looking into Bank Incentive Based Pay Schemes and Unpaid Overtime – NOW is the Perfect Time to Bring Bank Overtime Claims! “That didn’t take long!” That is the reaction on Wall Street to the Comptroller of the Currency’s (OCC) announcement that it is looking into the incentive compensation structures of several large and regional lenders. The OCC’s announcement comes on the heals of Department of Labor inquiry into Wells Fargo and possible overtime violations. (This firm has already launched an investigation into overtime pay for Wells Fargo employees, many of whom were forced to either cut corners or work tremendous hours to meet sales targets.) Never has the time been better to bring bank overtime claims. Earlier this fall, Wells Fargo paid $185 million to settle charges that the company opened as many as 2 million accounts without the customer’s consent. During public hearings it became apparent that some Wells Fargo managers were paid based on revenue and new account growth. That resulted in constant pressure to perform. Earlier this week one Wells Fargo employee told us that she had to meet unrealistic sales targets or risk losing her job. That meant work without pay on nights and weekends or cross the line and open illegal accounts. We suspect there are numerous other bank overtime claims that can be brought throughout the industry. 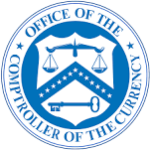 Although the OCC won’t say what specific information they are seeking or what they have found, the Los Angeles Times says that the agency is sharing its findings with the CFPB, Federal Reserve and the FDIC. We welcome the review. The more that regulators focus on suspect compensation schemes, the easier it is for employees to bring bank overtime claims. During the throes of the Great Depression, Congress passed the Fair Labor Standards Act (FLSA). The law was passed to assure every worker a minimum wage and further insure that workers received overtime pay for hours worked in excess of 40 during a 7 day period. Eighty years later the law is still on the books. Banks, like most employers, are subject to the mandates of the FLSA. That includes time and one half pay for any hours worked over 40 per week. Exceptions to the law include certain high salaried workers, managers (“hiring and firing” authority), professionals and certain administrative employees. Unfortunately, we know that many banks do not pay overtime. Instead they bully or deceive workers into thinking that the bank is exempt from overtime laws. Fortunately, the FLSA law provides powerful remedies and protection for those with unpaid overtime. Remedies include double damages and legal fees. The protections include anti-retaliation measures. If you believe you have not been properly paid, give us a call. All inquiries are subject to the attorney – client privilege and kept confidential. We are especially interested in speaking with private bankers, wealth management bankers, and retail / small business relationship managers.